Many adults may agree that their teeth aren’t as straight and healthy-looking as they might have hoped. A lot of people might have worn braces as a child, but because they stopped wearing their retainer consistently at some point, their teeth have become crooked again. To Invisalign dentists, this is known as “malocclusion.” It’s a very common problem among adults. That’s why our Mississauga Invisalign service is available to serve you and help you fix this problem. You’ve probably seen many different ads for Invisalign braces – the clear way to straighten teeth and create a healthy smile. It’s safe, easy, and for the most part it is relatively quick – the average treatment for Invisalign lasts about one year while using clear braces. 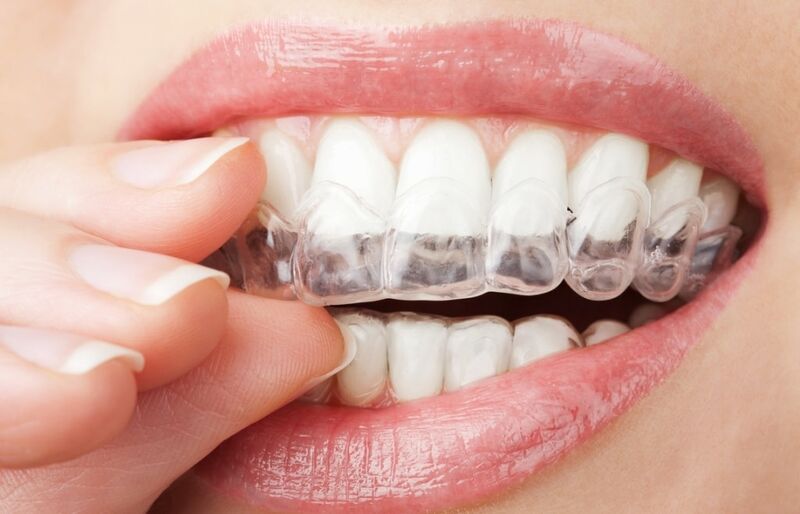 Invisalign is designed to use the perfect amount of force to move your teeth. And, because the clear braces are virtually invisible, almost no one can tell you’re in process of the treatment unless you tell them. By using a series of clear, removable clear braces, Invisalign helps straighten your teeth without anyone even noticing. All you need to do is stay consistent with changing the clear braces approximately every 14 days (2 weeks) and let the Invisalign aligners do the heavy lifting for you to make your teeth straight again. Slowly over time, you will start to notice that your teeth have moved and look much better, and you’ll finally be able to show everyone the smile they’ve wanted to see! The greatest thing about Invisalign is that it has a very little impact on your life every day. It’s easy to wear your Invisalign braces every day consistently because of how comfortable the Invisalign aligners feels on your teeth. Mississauga Invisalign experts also praise how convenient it is to remove the aligners every time you eat. Unlike braces, you have no restrictions on what foods you can eat. If you’re one of the many people who are active or play sports regularly, don’t worry because Invisalign doesn’t interfere! The great thing is that the clear braces don’t have sharp edges so you can leave the aligners in your mouth while you play or if your sport requires you to wear a mouth guard, simply take out the aligners! At night you can follow the same routine for cleaning your teeth. Simply remove your Invisalign aligners and brush and floss your teeth normally. Then once you’re done, you can simply put your clear braces back in. However, this shouldn’t be the only time you clean your teeth. Mississauga clear braces specialists recommend to clean your teeth every time after you eat before put your aligners back in your mouth. Regarding your lifestyle, Invisalign aligners are as comfortable to wear anywhere as they are in your own home, and don’t cause a burden on your busy lifestyle. All that’s required from you is to visit your Invisalign Mississauga dentist frequently to keep track of your progress and continuously update you with a new set of aligners. Each new set of aligners will serve a purpose in making your teeth straight again, and follow a plan mapped out by your local Mississauga specialist. Contact Dr. Swaida for more info on Invisalign services in Mississauga today. If he feels that you can benefit from using Invisalign to provide you with a better smile, your dental insurance may cover the Invisalign cost. We also offer a variety of financing plans to make investing in your smile easy to do.